First, to know what and how I can do research and experiment in this foundation, I saw the foundations back yard of Orangutan Island and the uninhabited island. Then, I was also told the system such as feeding and breeding. 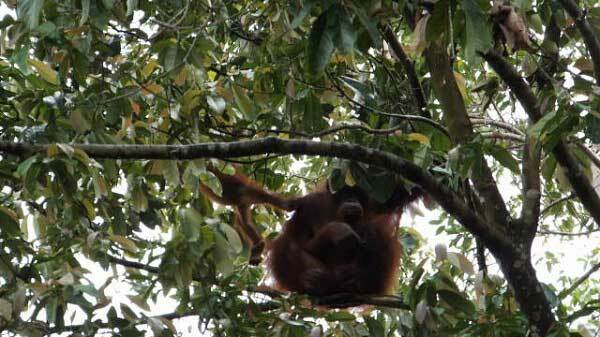 Next, I preliminarily observed orangutans there, mainly children and three mother and child pairs. I got two interesting findings from this observation. 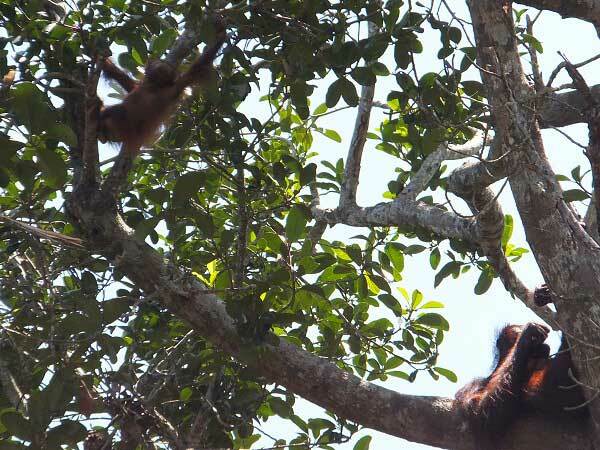 Firstly, orangutan children (3-4 years old) are curious about novel things and have large concentration, so I can do experiments which need demonstrations. However, they don't imitate my actions, so I cannot do such kind of experiments. 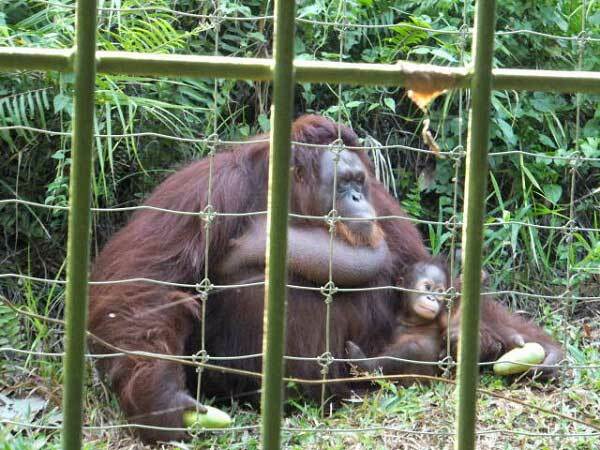 Secondly, mother let her child (1 years old) do what he or she wants to do in the uninhabited island more than under conservation, and under conservation, mother keep her child (2 years old) freer than child (1 years old). I am interested in what make these differences. I think the former is because of a difference of the circumstances or the mother's characteristic, and the latter is because of a difference of the child's age or the mothers' characteristics.